Preheat oven to 400°F. 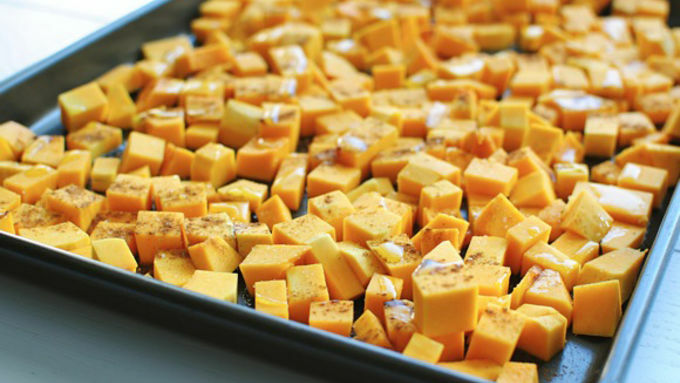 Arrange the diced butternut squash on a large baking sheet. Drizzle with a little olive oil and sprinkle with cinnamon and sugar. 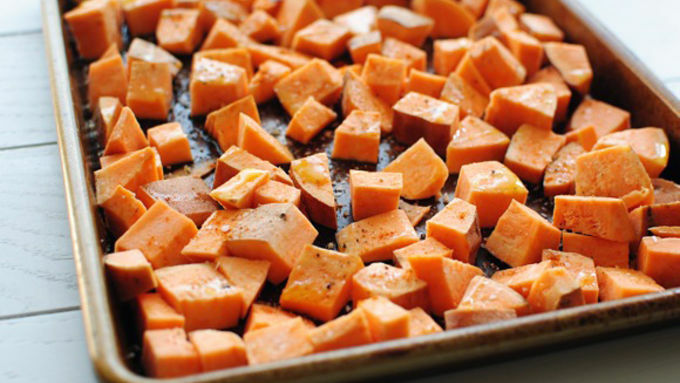 Arrange the sweet potatoes on another baking sheet. Drizzle with a little bit of oil and sprinkle with cumin and cayenne. Throw a little salt on it, too. Bake both sheets for 30 minutes, or until soft and roasted. 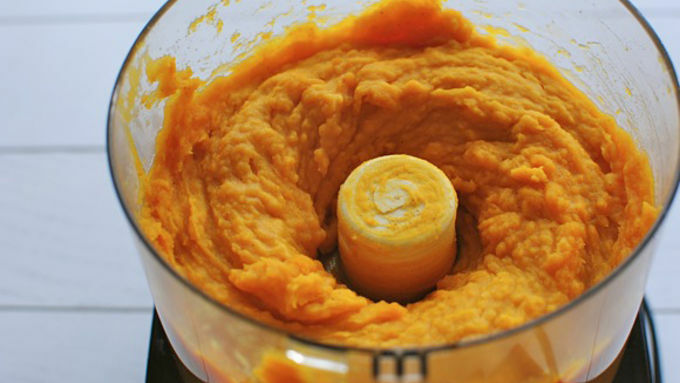 Transfer the butternut squash to a food processor; add the milk and process until smooth. 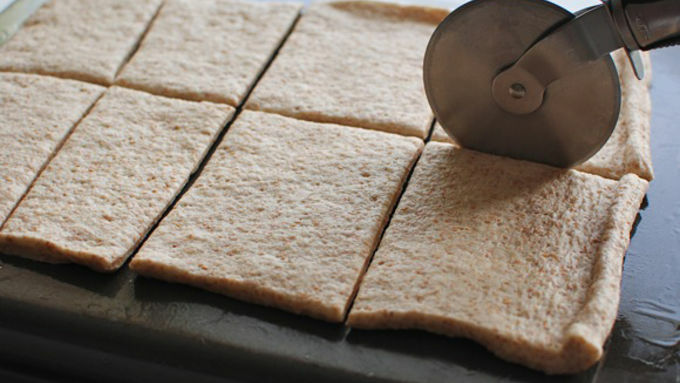 Roll the pizza dough out onto a greased cookie sheet. (I flipped one of the pans over to use for the pizza.) Cut into 8 equal squares and parbake for 8 minutes. Evenly spread the butternut squash puree over each pizza square. 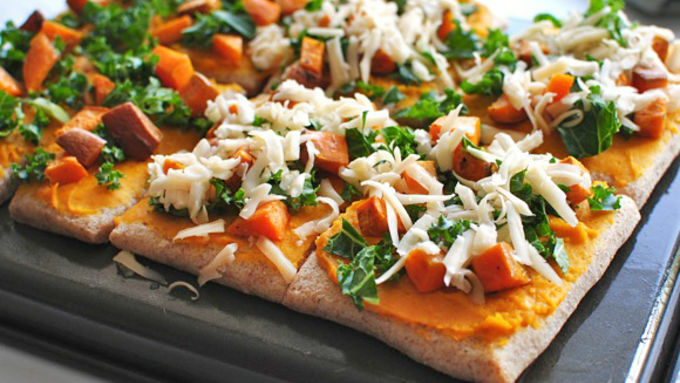 Top with sweet potatoes, kale and the shredded Manchego cheese. Bake another 6 to 8 minutes, or until the cheese is melted and bubbly. Serve immediately! 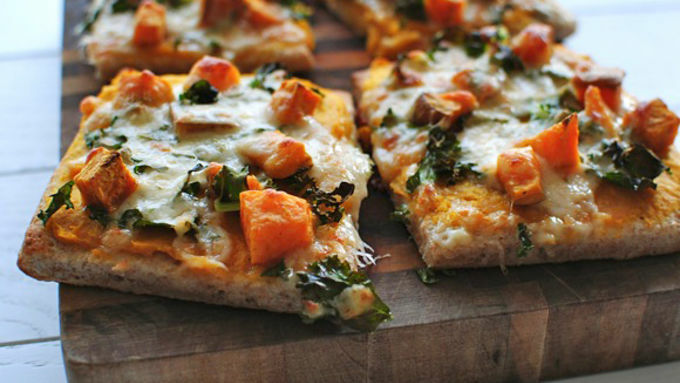 This is not your mama's Roasted Butternut Squash Pizza. Wait, does she even have one? You know what the best thing about fall is? Eating pizza. Actually, that's the best thing about anything, but whatever. 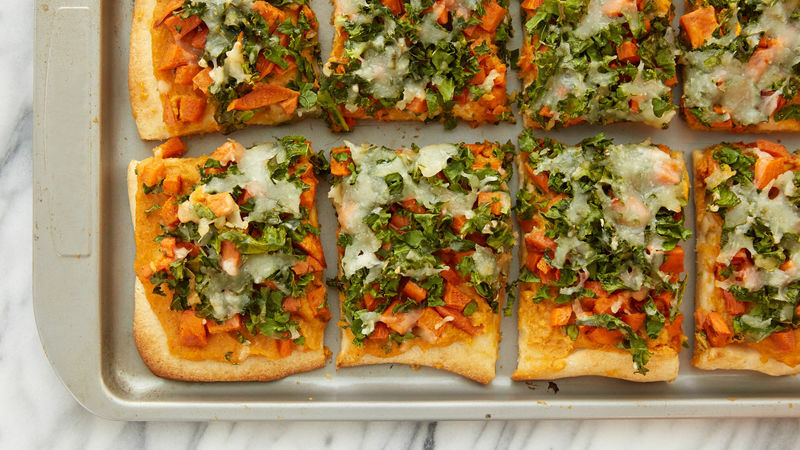 THIS pizza is specifically designed for fall though, with a roasted butternut squash puree, roasted sweet potatoes, crispy torn kale and 15 million buckets of awesome Manchego cheese. Have you ever had Manchego cheese? Dudes. Do it. You don't even know. But if you eat it then you will know. And I want you to know. Knowing is good stuff. This recipe calls for two whole pizzas (even though I'm only showing four slices) because I was imagining game day parties. And you can basically slice them as big or as small as you want. Whatever makes you do the hokey pokey. And we know how I feel about the hokey pokey. And bam. It almost makes me mad how yum to the tum it is. (Sorry for saying yum to the tum just now.) Game day, party of . . . one? DO THIS.